Vancouver Lower Mainland, BC, Canada is home to a vast assortment of adventures, geography, cultures, and people. The region encompasses the southwest corner of British Columbia, Canada stretching from the City of Vancouver to the Village of Hope BC. The Vancouver Lower Mainland region is also refered to as the "Vancouver, Coast and Mountains" region. It is a valley filled with culture, art, theatre, entertainment surrounded by westcoast nature and adventures. Top attractions, adventures and activities most enjoyed in and around the Vancouver Lower Mainland, BC, Canada includes hiking, mountain biking, golfing, houseboating, scuba diving, boating, sailing, whale watching, river rafting, ATVing, ocean kayaking, mountain climbing, wind surfing, kite surfing, canoeing, horseback riding, snowmobiling, downhill skiing, snowboarding, cat skiing, heli skiing, dog sledding and spa experiences. A few of the more popular, some would say best, activity destinations and sightseeing highlights located throughout the Vancouver Lower Mainland, British Columbia includes Stanley Park (Vancouver), Sumas Mountain (Abbotsford), Burnaby Mountain (Burnaby), Cultus Lake (Chilliwack), Pinecone Burke Provincial Park (Coquitlam), Burns Bog Nature Reserve (Delta), Sasquatch Provincial Park (Harrison Hot Springs), Othello Quintette Tunnels (Hope), Fort Langley National Historic Site of Canada (Langley), Golden Ears Provincial Park (Maple Ridge), Cascade Falls Regional Park (Mission), Peace Arch Provincial Park (White Rock), Grouse Mountain (North Vancouver), Buntzen Lake (Port Moody), Terra Nova Park (Richmond), and Crescent Beach (Surrey). There are sightseeing attractions, historical sites, entertainment venues and cultural events in and around the Vancouver Lower Mainland British Columbia. Some of the top attractions to visit includes Granville Island, VanDusen Botanical Garden, Gastown, International Friendship Garden, Vancouver Art Gallery, Orpheum Theatre, Britannia Shipyards National Historic Site, Kilby Historic Site, Gulf of Georgia Cannery National Historic Site and the Museum of Vancouver. What are the Accommodations, Services and Amenities in the Vancouver Lower Mainland, BC Region? Vancouver Lower Mainland places to stay, and the services and amenities important to travelers. 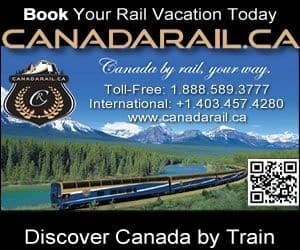 The services and amenities include accommodations (resorts, hotels, motels, inns, bed and breakfasts (B&Bs), vacation homes, cottages, cabins, lodges, hostels), spas, campgrounds, tours, guides, outfitters, attractions, big box stores, rental shops, nightclubs, restaurants, laundromat, coffee shops, wineries, breweries, casino, grocery stores, pubs, liquor store, banks, gas station, gift stores, and internet service.